Your entire history – your unique story – is carried within your body and mind. Explore that story through the lens of narrative medicine. Jump start your healing with shamanic practices, shadow work, meditation, mindfulness and direct experiential awareness. This retreat is a rare opportunity to align more fully with your life’s mission, and to foster great clarity, creativity, and renewal. Come expecting to have fun, look deeply within, and to be joyously shifted. This conference is also open to practitioners that want to self-explore and learn these techniques. $2750 including room and board! Do you feel that the life you are living is not the one you envisioned for yourself? Are you troubled by illness, doubt, anxiety, and fears that will not clear, no matter what you do, or how hard you try to change? Only you can fully appreciate that struggle, but it is also true that you are not alone. Everyone carries wounds and defenses that don’t serve their soul’s purpose. Healing and working through such patterns takes a tremendous amount of courage and effort. Despite the challenges, for some, the need for healing and creative change is now the top priority. Pirtle and Chiasson recently completed filming the feature-length documentary film, Is Your Story Making You Sick? The film features 8 participants engaged in much the same programming you will experience at this retreat. Anyone who boldly ventures into the mystery can receive the same beautiful transformation. You are invited to join us. “Story” will release sometime in late 2018 at film festivals around the country. Dr. Ann Marie Chiasson is the Co- Director of the Fellowship at the Arizona Center for Integrative Medicine. 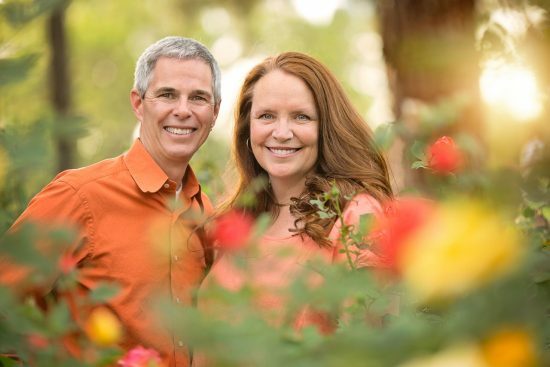 She is board-certified in Integrative Medicine and Family Medicine and completed a fellowship in Integrative Medicine at the Arizona Center for Integrative Medicine in 2004. Dr. Chiasson has a long-standing interest in traditional energy healing traditions and teaches integrative medicine and energy medicine around the country. She is the author of Energy Healing – the Essentials of Self Care (Sounds True 2013) as well as other publication on Energy Healing. Dr. Mark Pirtle, a pioneer in integral thinking in stress relief and recovery, is a clinician, author, public speaker, filmmaker, and true “innerpreneur.” Mark connects the dots between science, wellness, and spirituality. He tirelessly updates his understanding of the latest science to help others change and heal. Combining the disciplines of neuroscience, living systems theory, and mindfulness meditation, he developed an evidence-based program for people suffering from stress-related conditions called Skillfully Aware®. He teaches meditation and mindfulness to empower clients to work through stress-related patterns including pain, strong emotions and urges. Pricing: $2,750 includes room and board (double occupancy). Single rooms available at an additional cost of $40 per night. Special Diets: Special diets of gluten-free and vegan are $10.00/day/ per person extra. Other special diets/preferences/restrictions are negotiated separately based on the complexity of the desired meals. Travel: Just 45 minutes from the Tucson Airport!. 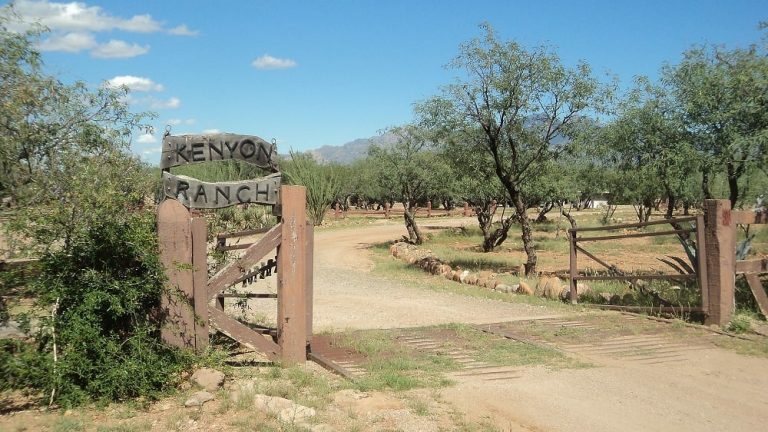 Travel to and from Kenyon Ranch is not included. However, organizers will facilitate shared ground transportation when possible. Pre and post-programming: Registrants also receive free, lifetime access to Dr. Mark Pirtle’s “Tools for Transformation” online class immediately upon registration. This class will prepare you for the retreat and help you maintain your gains after. The class includes an online forum and live, bi-weekly, web-based, “office hours” student meetings. Refund Policy: Due to fixed costs associated with hosting this retreat, refunds will be issued in the form of credit toward any future retreat we host. Registrants who initiate a cancellation before 11/01/18 will receive full credit toward any of our future retreats (dates TBD). Contact lynda@skillfullyaware.com or call 520-981-9911 with questions! haven’t really thought about how our stories can make us sick and really hold us back. gives tools needed to come home to your authentic self. Pirtle describes shadow work, which opens you up to your own projections. The shadow is a part of you that you cannot see and how we show up, which keeps us stuck. The shadow is a part of the story that is revealed, often by others, but how to do we meet our shadow with equanimity? This was a major takeaway for me from the program. I left feeling empowered, curious and with a clear mind and heart. The tools and techniques that were taught in this program are extremely valuable. It was time for me to stop talking about adding meditation to my life and start doing it. With that in mind I knew exactly where I needed to go to begin this journey. Knowing and doing are two different things. I’m sure everyone can relate to that in many areas of your lives. The hard part is getting from the “knowing” to the “doing”. One problem I needed to overcome was my fear of being with others in a group. Yet I was ready. I needed to get to Kripalu Center for Yoga & Health located in the Berkshire Mountains of western Massachusetts. So my next move was to go to the Kripalu website to see what programs where being offered to help me begin this journey. While searching the programs it just jumped off the screen at me “Is your story making you sick”. Now that’s something I could definitely relate to. The three day program was beginning the next day. So I signed up that minute so I couldn’t back out. It was the best thing I ever did for myself. The program was given by Dr. Mark Pirtle. He uses integral thinking in recovery to reduce stress and cultivate happiness. By understanding the nature of your mind and how to influence it through meditation. You gain awareness of how the mind’s narrative affects your emotions, health and habits. I gained insight on how to use awareness therapeutically to relieve my stress and my dependence to turn to alcohol. I gained so much more from the program than I even realized while driving home. My fear of being in a group dissolved away, my fear of my ability to meditate disappeared and most importantly my commitment to honesty and transparency in my recovery program. I went from the “knowing” what to do to the “doing”. If you would like more information on Mark’s programs I’ve added the link below. He is a man that really cares and his commitment to helping others is HUGE. The photo was taken at Kripalu during a snow storm.